If you're considering one of LIM's Master of Professional Studies (MPS) programs, taking a closer look at our courses might give you just the nudge you've been needing. 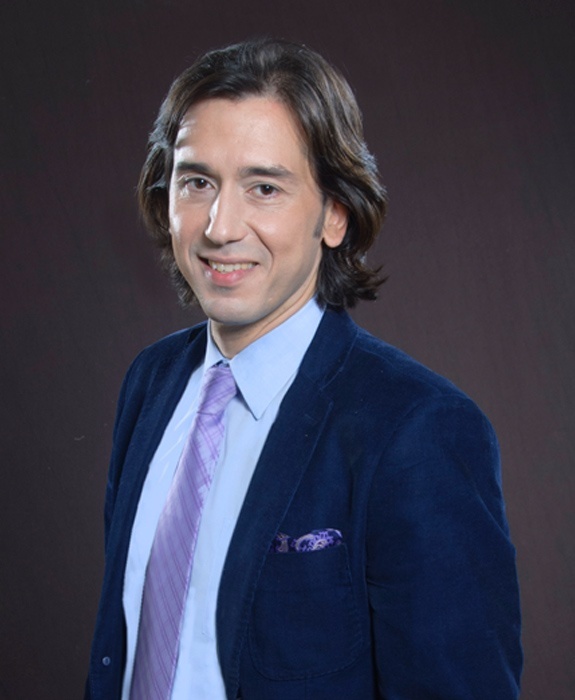 So, we sat down with Professor Burak Ayata of our Global Fashion Supply Chain Management graduate program to ask him a few questions about what he's teaching this semester. Read on to find out more about his course, Innovation and Change Management, and what his students are up to. But first, a glance at our MPS degree in Global Fashion Supply Chain Management. This unique graduate program equips students with the skills to lead successful careers in supply chain analytics, operations management, procurement, and logistics. Our graduates have moved into careers as imports managers, supply chain directors, and distribution center assistants. In Dr. Ayata's class, students learn to use quantitative tools to talk about innovation strategies and how to implement change successfully. So, you're teaching Innovation and Change Management this semester for the Global Fashion Supply Chain Management MPS. Who would enjoy taking this course? What types of careers are students taking this course interested in? Anybody who understands the importance of innovation and change management, who either works for a dynamic company or wants to be employed by a company looking to make a change. Who is patient to wait and see the outcome. Who really wants to learn the difference between complex system and volume operations. Who wants to be part of the next big thing offered in the market place. These subjects may be even applied to our day-to-day life. Even though we are leaning to teach more toward the Fashion Supply Chain track of Innovation and Change Management, the course has a lot of offerings to those who are looking to differentiate themselves from their competition. It is very technology-oriented. We use simulations as well as current social media tools to make the course fun. What are some of the goals of this course? This course provides students with the elementary quantitative tools needed within the supply chain field. It highlights methods that are frequently used by many businesses while introducing students to a collection of quantitative tools designed to enhance managerial decision-making. Students will learn the necessary skills to transition individuals, teams, and organizations to a desired future state, identifying distinctions between functional/innovative products and efficient/responsive supply chains while also learning change management best practices. Can you give me an example or two of some assignments? In one of the assignments—from Harvard Business Publishing—the students are given lower and higher level job positions within the organization, and try to convince their peers to work toward creating more sustainable and environmentally-friendly organizations. We also have an assignment where students select a fashion company and create an innovation strategy for them by writing a paper describing what type of business they are, where they are on the innovation lifecycle, and suggestions they need to make for them to innovate. I am currently employed as Senior Director at Sea-Air Logistics–North America by the Switzerland-based international logistics company Kuehne + Nagel. I have over 20 years of industry experience in various positions, including extensive knowledge in Fast Moving Consumer Goods (FMCG), Pharmaceutical/Healthcare, Logistics/Shipping, Technology, Retail/Fashion/Apparels, Perishables, and Foodservice-Foodstuff. I received my AA in Liberal Arts in Business from Middlesex County College, a BA in Economics in Business and Finance from Montclair State University, a MBA degree in Marketing and E-business from Yeditepe University, and a Ph.D. in Technology Management and Global Innovation Management from Stevens Institute of Technology. I have been a featured speaker at several conferences, and presented several research seminars in various universities globally, with research areas of interest including: Global Innovation Management, Restructuring Business Technology Systems, Contingency Planning, Project Management, Strategic Management, Change Management, Operation Management, Business Strategy Development, Supply Chain Integrated Technologies, and Global Cargo Real-Time Visibility Technologies. Knowing that prospective students will be reading this blog, is there anything you'd want them to know about this course? In class, we listen to music and it's a relaxing environment. We use social media tools, create videos, have trips to selected apparel stores. Our discussion-based class set up is great for working together to make changes within our organization in a simulated environment. We learn current trends as well as look into what we shall expect in the future. And, of course, we have fun. Think you want to join in on the fun? Take the leap and let us know.